Pizza, that quintessential Italian food, was introduced to America by Italian immigrants in the 1900s and became popular when soldiers stationed in Italy returned after World War II. Over the years, the dish has been adapted to the American palate, sometimes beyond recognition. Walk into any Domino's, Sbarro or Paisano’s in New York and you will get a pre-baked, thick-crusted pie topped with curious ingredients like boiled eggs and pineapple. Even the beloved pepperoni pizza – the most common variety in the country – is largely an American invention. And so when Motorino, the New York pizzeria that started from a dingy store under the Brooklyn Bridge, first came to Hong Kong a year ago, I was naturally skeptical. The idea of an “American pizza,” itself a derivative of the real thing, is about as authentic as chop suey or General Tso’s chicken. 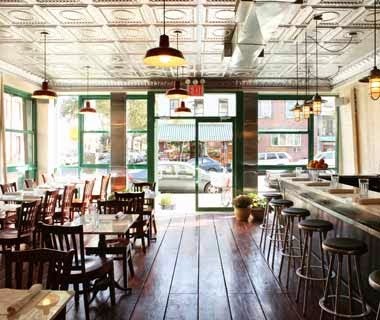 I gave Motorino a try anyway, when the Soho location first opened in 2013. I was served a fairly good Neapolitan pizza – just that it didn't taste very American at all. That’s not a bad thing as far as pizza is concerned. 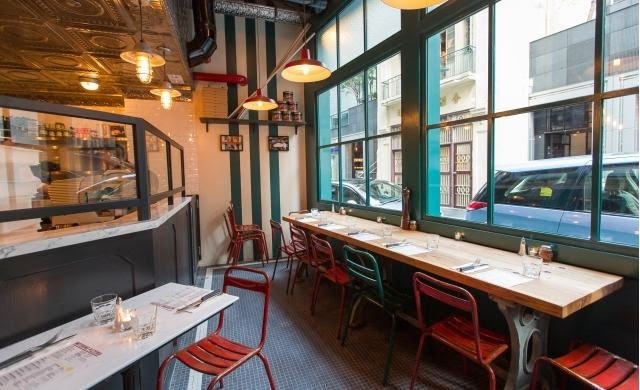 Less than a year later, Motorino opened its second location on Ship Street in Wanchai. The restaurant sits across the street from 22 Ships, which is noticeably less busy now that the tapas hype is over. I wanted to give the pizzeria a second tasting and this time around I brought Cristiano, a friend of mine from Pordenone, a town in Northern Italy. Cris and I showed up at 11:45a.m. on a Saturday to beat the crowd, since we were told the Wanchai branch doesn’t take reservations. We were the first customers of the day and got seated by the friendly staff without incident. We proceeded to order two pizzas: cremini mushroom and Brussels sprouts. Cris was surprised to find that, despite its Brooklyn roots, Motorino makes the crust the same way they do in Italy: thin, soft and soggy. The pies, with a dribble of chili-infused olive oil supplied by the restaurant upon request, were delicious and “more refined than Pizzeria Italia” (his favorite pizza joint in the city). 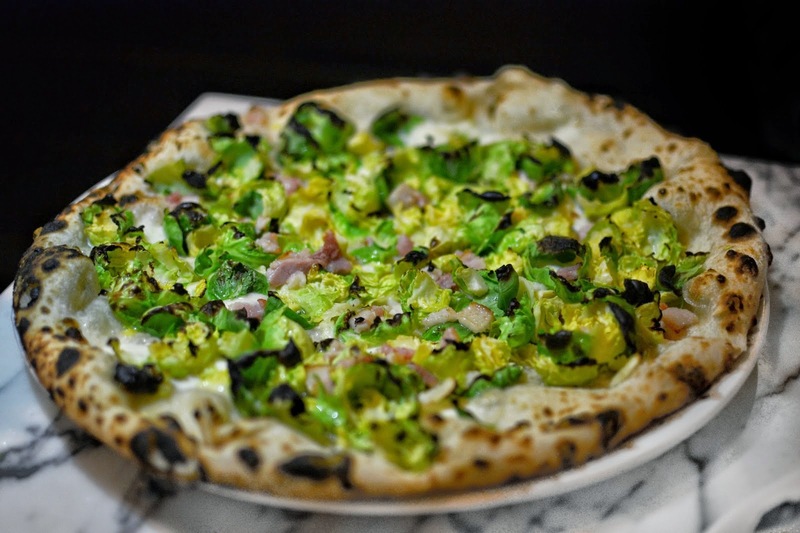 We especially enjoyed the Brussels sprout topping – a Motorino invention – which had been charred in the brick oven just long enough to be crisp but not burnt. All in all, my friend and I were pleased with the food we got. Considering its reasonable price point ($160 per pie), we were ready to declare Motorino our new favorite.